Skylark Lounge in Central Hong Kong is proud to present Hendrick Meurton. 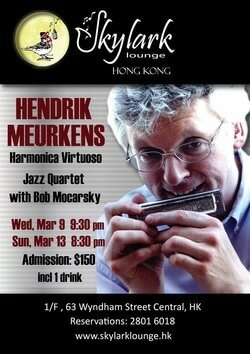 Hendrik is hailed by many as the greatest harmonica player after Toots Thielemans. He is deeply into the Brazilian scene.